From 9-1 to 0-6-3. Despite a massive swing in results, the process remains decidedly average in Anaheim. - The Point Data-driven hockey storytelling that gets right to the point. What do the Anaheim Ducks and Jerry Seinfeld have in common? Everything evens out. 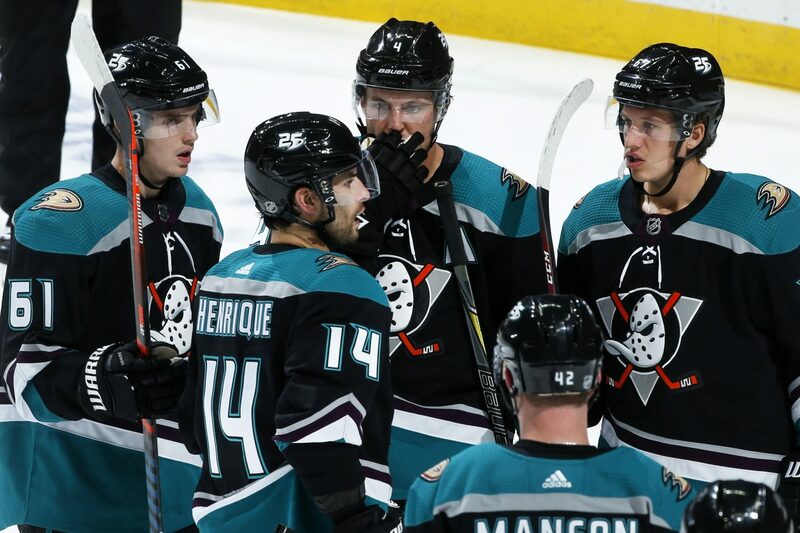 The Ducks have followed up a stretch of 9 wins in 10 games with 9 straight losses, going 0-6-3. Is it a case of great than terrible play? Not really. The Ducks have been pretty much the same team throughout only they’re running ice cold after a stretch that saw everything go right for them. 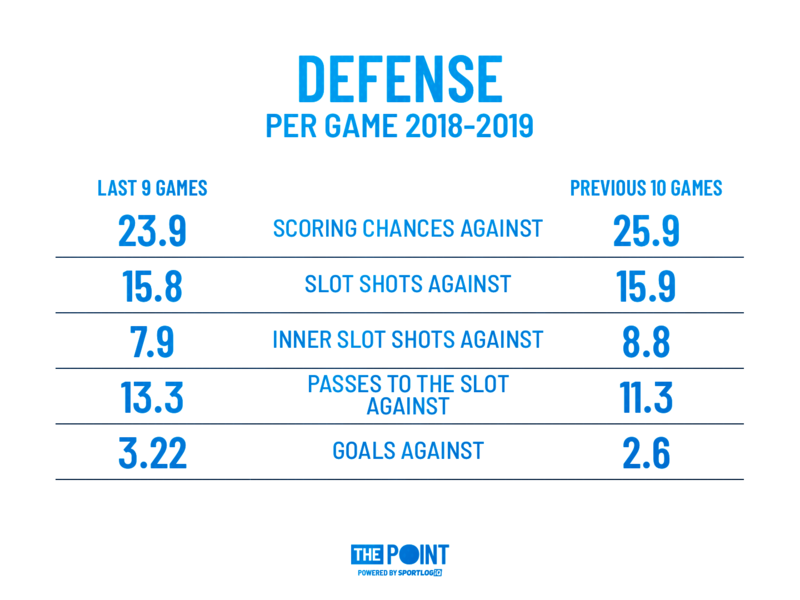 During their current losing streak, the Ducks are averaging a few more scoring chances than they did during their 9-1 run but in general, aren’t doing anything all that different. Defensively, there’s not a meaningful difference in what they’re allowing – other than more goals. The Ducks are creating just as much over the two stretches but instead of averaging 3.6 goals per game they’re down to 1.3. In fact, Anaheim is averaging more shots per game during its losing streak but are only scoring on 4.2% of their shots. That’s down from 13% during their previous 10 games. Even according to our expected goals model, the Ducks should be scoring more. Their expected goals per game total is actually the exact same during the two very stretches of play, at 2.6 goals per game. When they were winning they were exceeding it but now they aren’t coming close. As the old adage goes, “score more goals than the other team and you will win.” Scoring at a rate of 1.3 goals per game just won’t get it done in the NHL right now. Even if they start scoring at the rate they should be, 2.6 goals per game, it won’t be enough to hang in the playoff race. 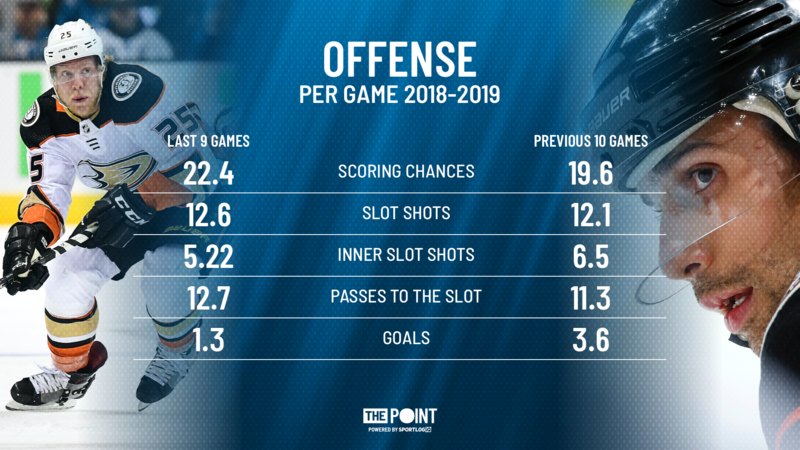 Goals are up and even with all-world goaltending from John Gibson, the Ducks will continue to drop in the standings if they don’t find ways to get the puck into the back of the net at a higher rate.